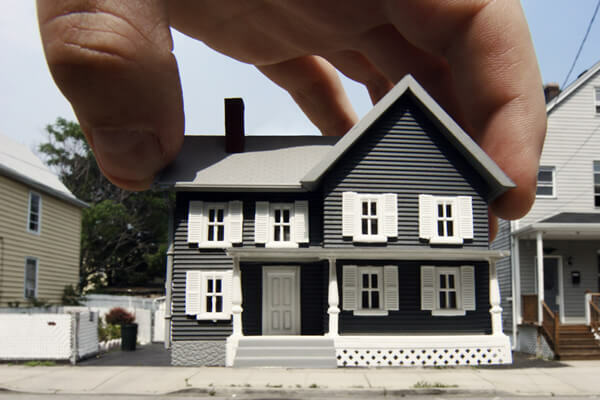 The US News and World Report has provided sound guidance for those threatened by eminent domain. Take steps to protect your rights as a property owner so you’re not left out in the cold. You worked hard to become a homeowner, and it’s something you’re proud of. Between mortgage payments and the improvements you’ve always wanted to make, you work even harder to make it the home of your dreams – and to keep it that way. But in the case of eminent domain, it’s out of your hands. A clause in the Fifth Amendment to the Constitution limits the government’s right to take private property for public use by requiring the property owner be given “just compensation” in return. The Lebanon Pipeline Awareness Coalition continues to work effectively in educating many on the problems with proposed pipelines. It is possible for an organized grassroots effort to thwart or at least impact the plans of two companies hoping to build natural gas pipelines through Lebanon County, experts say. 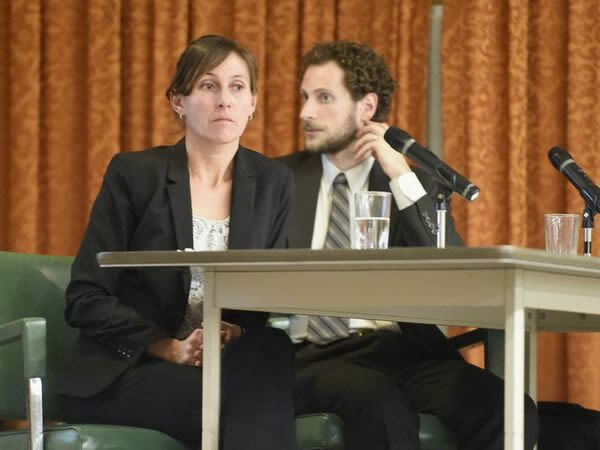 Those experts are panelists with knowledge of pipeline issues speaking to about 50 area residents during a forum at the Lebanon county courthouse Monday night. “I know it’s been a long haul for you folks, and it may well be a long haul for another year or two, but you’re accomplishing a lot,” said Lynda Farrell, executive director of the Pipeline Safety Coalition. On March 9, 2016 the full Commonwealth Court heard oral argument on the first appeal of a decision on the Sunoco Pipeline Mariner East 2 pipeline(s). The arguments focused on exclusive Federal jurisdiction as precluding Pennsylvania PUC regulation. The consolidated three cases remain on an expedited schedule and could reach a decision within one to three months. 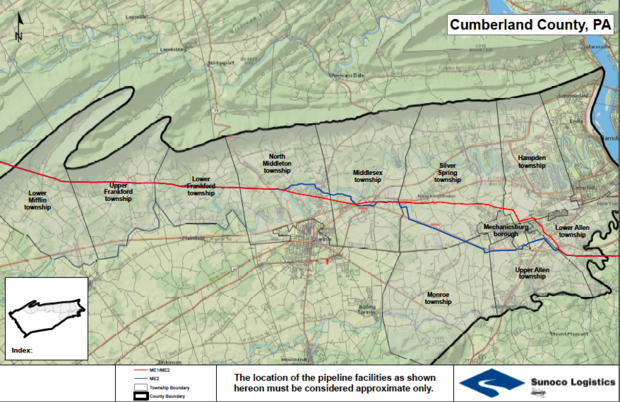 A Cumberland County judge was wrong when he ruled that Sunoco Logistics can invoke eminent domain to seize land for its proposed Mariner East II pipeline, a lawyer for the owners of three targeted properties told a state appeals court panel Wednesday. A group of Pennsylvania residents have challenged the operations of the Federal Energy Regulation Commission (FERC). The suit may push FERC to improved responsiveness to its obligation to regulate for safety. One correction of the following story is suggested. The article states that each time FERC approves a pipeline, the project is automatically granted eminent domain power. That is true for the natural gas pipelines per the Natural Gas Act. By contrast, FERC also approves hazardous liquids pipelines. These pipelines are not eligible for FERC eminent domain power, because that power is not contained in the controlling Interstate Commerce Act. The Sunoco Pipeline Mariner East 2 is one such hazardous liquids pipeline which was approved by FERC without eminent domain power. A court filing contends a federal agency whose funding is based on the flow of gas is controlled by the companies it oversees. 104 pipelines have been approved across the U.S. in the last five years. Mike Faherty presented a Cumberland County Judge with Memorandums of Law before a second day of trial. Three Cumberland County property owners will have to wait until at least next month to find out if their arguments against a pipeline, proposed to run beneath their land, will stand up in court. Monday was the second day of testimony in Cumberland County Court in the case of Upper Frankford Township property owners Rolfe Blume, John Perry and Alan Walters, who are arguing Sunoco Pipeline does not have the authority to take a portion of their land to build the underground pipeline that will ship liquid natural gas across the state.